Agendum’s new name is Parkius. 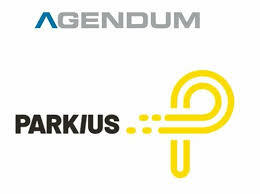 You know Agendum as the inventor of digital parking enforcement. With this name, we developed the world’s first car equipped with a fully automated scanning device for reading license plates (now known as ANPR) for the city of Amsterdam. Since 2008, we have continued to improve and optimize our digital parking solution. Our new name reflects the rapid developments surrounding our company and our innovative parking solution. The world-wide demand for effective approaches to digital parking management is growing fast. This has resulted in considerable international attention for our flexible and easy-to-implement SaaS parking solution. The name Parkius also underlines our new ambition level. We will shortly expand our services with a variety of innovative Smart City solutions. Users of our parking solution can then easily scale to smart data services for monitoring and predicting traffic and parking intensity. Or effective inspection of traffic signs, street furniture or other objects in the public space. You can now find us at www.parkius.io and in our new offices at the address below. Please contact us if you have any questions about Parkius, the latest news about our parking solution or our Smart City services. We look forward to hearing from you!